Luxury Products - Website of smartourism! New Zealand is a great destination for luxury experiences. Many of the members of the Smartourim Marketing Group offer luxury products, whether it be luxury accommodation on a super yacht or a helicopter flight. To make it easy for you to find these luxury experiences, we have grouped them on this page for you. Ignition Self Drive Adventures offer luxury car hire in the Queenstown area. We specialise in high end sports cars and have luxury 5 seater options available. We are offering the chance to experience driving amazing vehicles on some of the best roads, featuring some of the best scenery in the world. You will not find cars of our standard anywhere else in the South Island. Click here for more information on the cars we have available for hire. 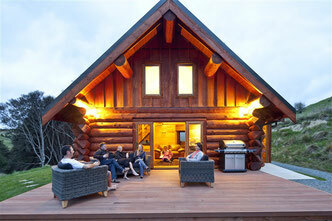 NEW: Cascade Creek Retreat (near Milton/Dunedin) is a 5 star Gold Qualmark luxury accommodation property. Extremely private, off the grid, beautifully appointed with a lot of attention to detail. Click here for more info on Cascade Creek Retreat. For the highest quality ski gear, rental and tuning in Queenstown. For over 30 years! Private Sampler and Private Bannockburn/Gibbston Tour. 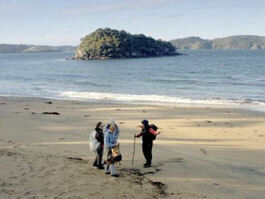 All of Ulva's Guided Walks acclaimed tours on Ulva Island Bird Sanctuary and Stewart Island are available as private tours. The spectacular and diverse Hump Ridge Track offers a guided walk option, including a helicopter flight and a jet-boat add-on. Ti Kouka House is a luxury B&B located on the West Coast just south of the Punakaiki Pancake Rocks. Warm hospitality, delicious cuisine and 3 purpose-built ensuite guest rooms overlooking the sea.